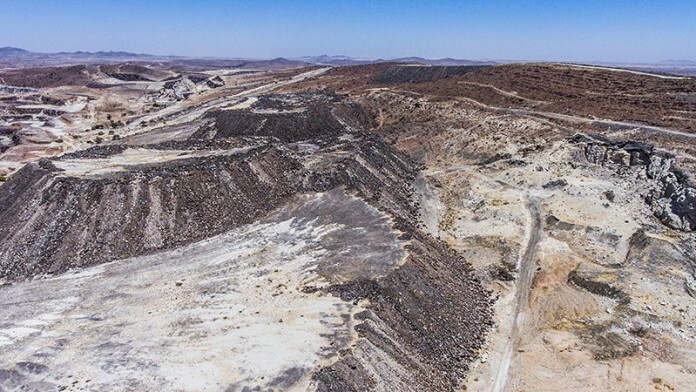 AFRITIN Mining said it had started ‘validation’ and exploration drilling at its Uis project in Namibia which the firm’s CEO, Anthony Viljoen, described as “a key element” in assessing the feasibility of the second phase development of the mine. “The company has always been focused on upgrading the historic resource that was identified at Uis to modern JORC standards as this is a key element of AfriTin’s current mine plan and the bankable feasibility study for Phase Two,” he said. Uis was previously operated by Iscor, South Africa’s former integrated mining and steel manufacturer, and a forerunner of Acelor-Mittal South Africa. Saleable production of tin-in-concentrate in the initial phase of a re-opened mine has been estimated by Afritin to be about 800 tonnes annually. “The historical database that Iscor originally created for Uis was extensive and provided a high level of detail for the company,” said Viljoen. “We will now look to use this data to allow for an expedited validation drilling and exploration programme, as well as increasing the confidence of the mineralisation hosted by the V1 and V2 pegmatites,” he said. AfriTin announced on October 3 that it had bought the assets of Tantalum Investment for £850,000 through the issue of 25 million shares in a transaction that further consolidates the firm’s position in Namibia where it principally operates. “This acquisition of Tantalum Investment is another positive step for AfriTin as we look to consolidate African tin assets and embark on a regional expansion drive in Namibia,” said Viljoen at the time.